Whether or not it’s your first time in Germany or you’re a seasoned visitor, it doesn’t take long to realise that the whole Christmas Market aesthetic and tradition is deeply interwoven into the cultural fabric of the country. From Nuremberg to Hamburg and from Dresden to Cologne, in the weeks before Christmas, festively decorated huts take over the town squares and spread a festive flair with handcrafted goods and delicious food. 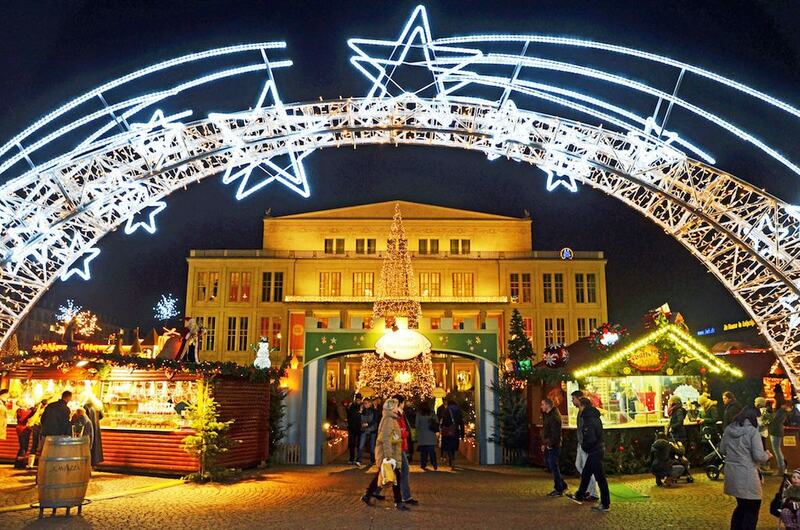 Here’s a roundup of the 11 best Christmas markets you should visit in Germany this year. When people think of German Christmas markets, the one that stands for most of the lore and tradition is the one that goes down each year in Nuremberg. It’s one of the oldest and most famous markets in the country. Though its direct origins are murky, historians believe it began during the early 17th century. A key custom that marks its commencement is the parading of the holy cherub Christkind — played by a child in the city — through Nuremberg’s central square, the Hauptmarkt. 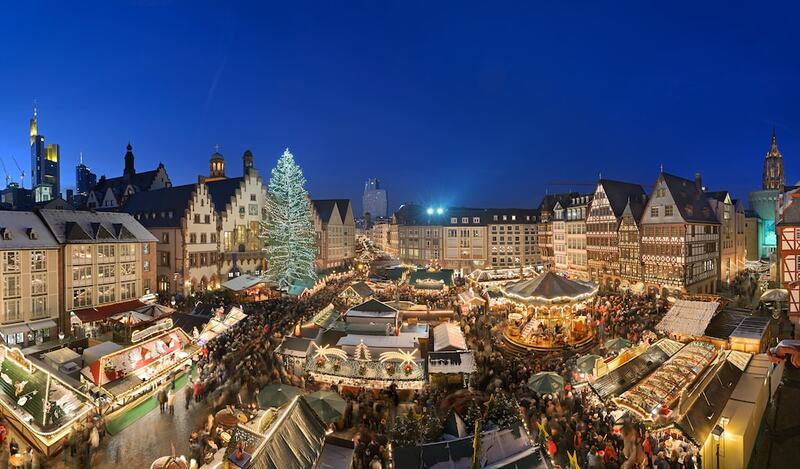 The Christkindlesmarkt opens at the start of Advent and runs until Christmas Eve. Berlin’s many Christmas markets are as diverse as the city itself. They often emerge each year with modern twists devoted to multiculturalism and environmental sustainability. While markets like the famed Gendarmentmarkt deserve an honourable mention, a favourite among locals is the Lucia Christmas Market that is presented at the Kulturbrauerei in the eastern district of Prenzlauer Berg. Here, a mix of German traditions with Scandinavian influences creates an intriguing northern European cultural experience that sets the market apart. Nordic flags wave from the stalls, traditional songs sound across the market square, and vendors prepare traditional foods, including elk bratwurst. 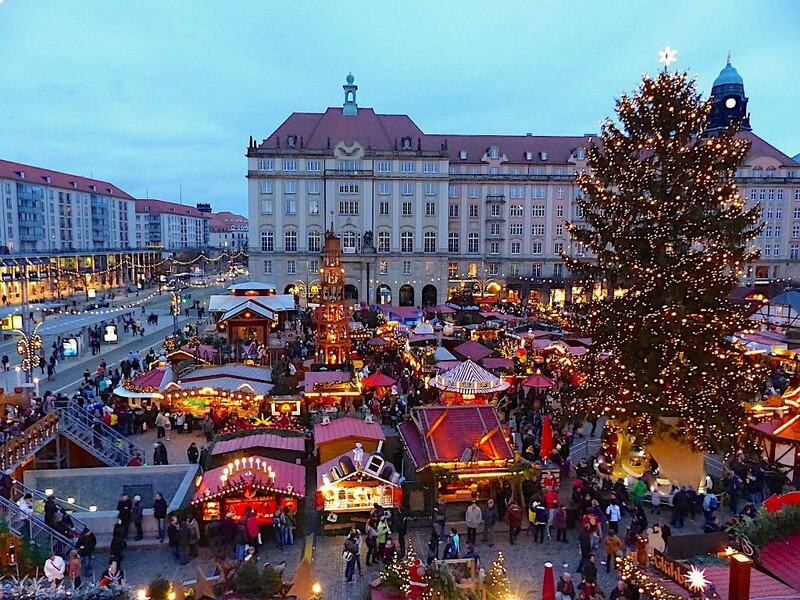 The setting of the Christmas market in Munich is what makes it special. Held in the famous Marienplatz, surrounded by historic buildings including the New and Old Town Halls, the Christmas festivities continue the centuries-long tradition of market activities in Munich’s city centre. Rows upon rows of wooden stands are complemented by the backdrops of the townhouses, all decorated with lights, ornaments and garlands. Traditional Bavarian goodies are on offer here, and plenty of other markets are within walking distance. Who says that Oktoberfest is the best time of year to visit this city? Christmas market activities in Dresden date back well into the 15th century. The renowned Striezelmarkt name derives from the famous sweet Christstollen cake that can still be found at the market today. Set among the grand architectural gems of Dresden’s old town and with the Elbe flowing in the background, the market is considered one of Germany’s most romantic and dazzling. The market square is ensconced in the gentle glimmer of festive lights and lures with unique features and events such as the Plaumentoffel – a doll likened to a chimney sweep made out of prunes – and the largest Christmas Pyramid in the country. 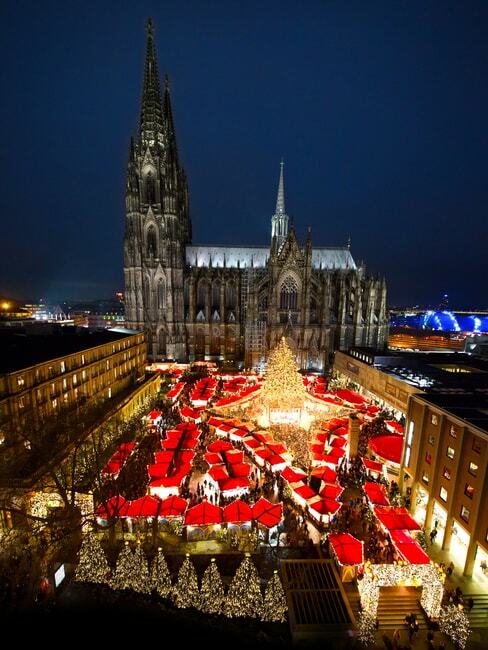 Cologne’s most famous Christmas Market is situated at the foot of the city’s most prominent landmark, the Gothic Cathedral, a renowned UNESCO World Heritage site. The festival is marked with an enormous Christmas tree decorated with lights, red ribbons, and other festoonery, and the air smells of nostalgic fragrances of spices and sweets. Sip on some glühwein while browsing the market’s 160 stands as live bands play Christmas tunes. Cologne’s Christmas markets draw in millions of tourists each year and with scenes like this, it’s easy to see why. Most of the markets on our list have historic origins, but for the most part, the cities surrounding them have modernized. For a truly immersive experience, head to Rothenburg ob der Tauber in Bavaria, a quaint village where you can step back in time. This picturesque place draws tourists every year during the Christmas season, as the gabled roofs and cobblestone streets are dusted with snow, illuminated by twinkling Christmas lights. The entire town takes on a Christmassy appeal as its inhabitants decorate their windows with garlands and other décor. Be sure to try Rothenburg’s trademark Schneeball biscuit, a kind of fried dough covered in powdered sugar or melted chocolate. 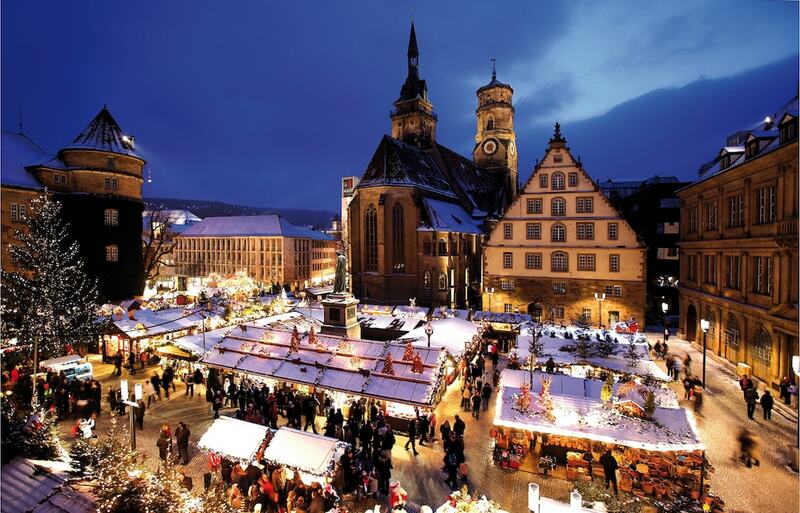 For those interested in a more traditional Christmas Market experience, head to Stuttgart where the city’s five major squares are transformed each year to bring visitors a taste of some of the country’s longest standing Christmas bazaars. Some even say that Stuttgart itself is a Christmas city, thanks to its cobblestone streets and a myriad of lovely historic buildings. The main market worth visiting is the one situated in front of the striking, expansive Old Palace, known as Wintertraum Markt. 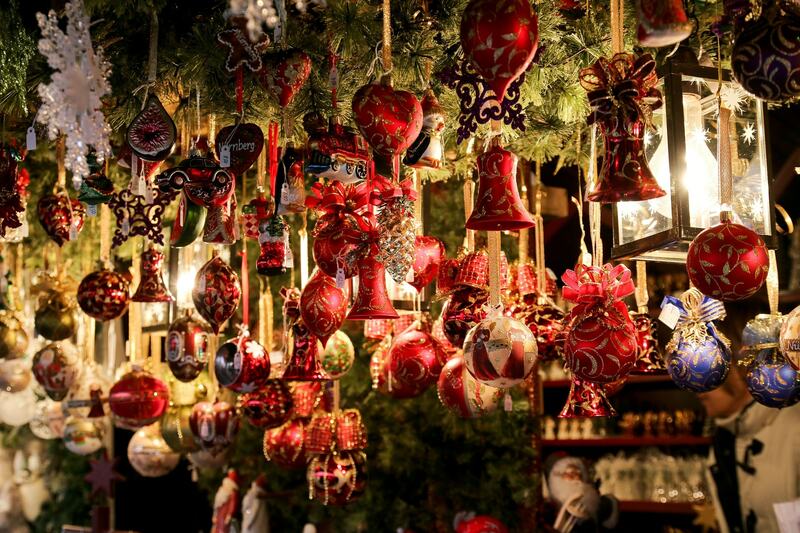 Munch on roasted chestnuts and Lebkuchen as you get lost in a sea of wooden chalets adorned with garlands. In the weeks leading up to Christmas, hundreds of wooden huts move to the historic old town squares around Frankfurt’s Römerberg. The market stalls are set in the midst of the timber-framed houses contrasted by the glitzy high-rises of the financial district in the background. 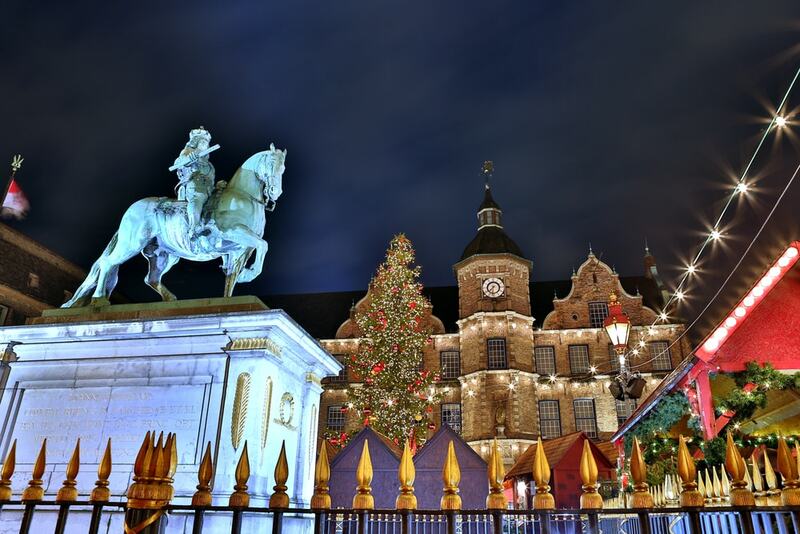 As one of Germany’s oldest Christmas markets, which was first mentioned in 1393, you can be sure to find some traditional goodies and treats. Handmade trinkets and crafts make for fantastic souvenirs and gifts, and the local culinary specials from hot apple wine and Bethmännchen cookies will give you the full Franconian experience. Just about an hour west of Dresden and its famous Striezelmarkt, visitors go into rapture about Leipzig’s lesser-known old town Christmas market. More than 300 exhibitors set up shop on the market square and in the nearby streets and transform the city centre with lights and evergreen garlands. Vendors in the old town offer a mix of traditional German handicrafts and food while Augustusplatz is the place where the Christmas flair goes international with Finnish products, Swiss cheese and South Tyrol décor. The musical entertainment on stage is as varied, and little guests can explore the fairytale forest or meet Santa Claus. Year-round, Heidelberg enchants visitors with a lovely old town, picturesque river views, and the imposing ruins of a 13th century castle towering over the city. 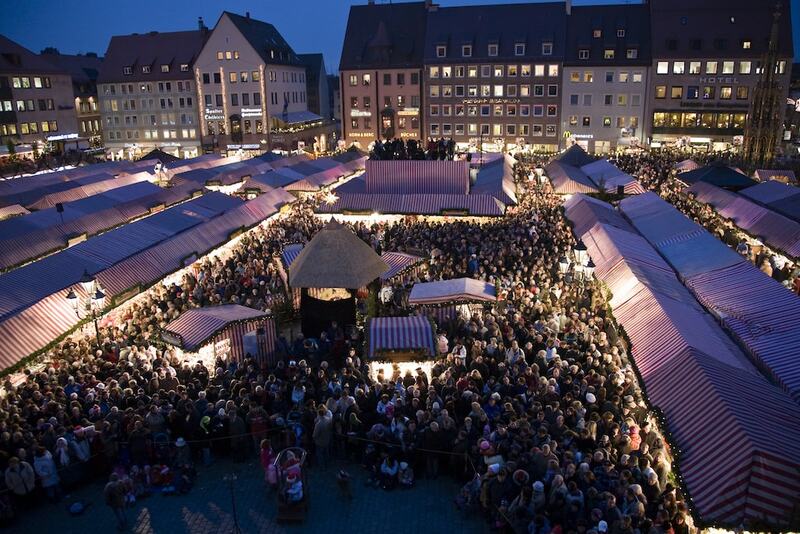 Towards the end of November, the market squares fill with wooden huts and stalls all illuminated by twinkling lights. 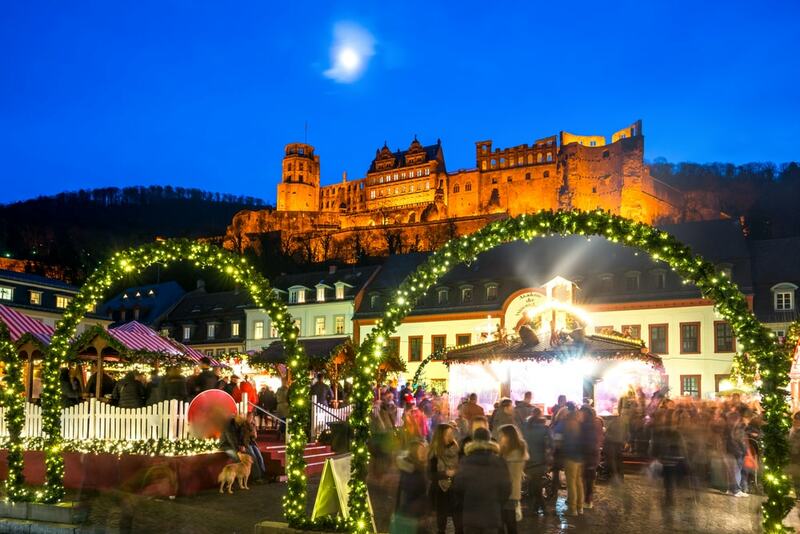 The Heidelberg Christmas market is one of the most romantic you’ll find in Germany, and your afternoon is best spent shopping for handcrafted gifts, souvenirs, and décor, indulge in glühwein and yummy foods, and go for a spin on the Karlsplatz ice rink which has amazing views of the castle. To round out our list, let’s head to Germany’s fashion capital, Düsseldorf. Here, sumptuousness is combined with distinct attention to design and aesthetics to provide a truly dazzling Christmas market experience. Start the day by heading to Königsallee, Düsseldorf’s famed shopping street, which comes alive during Christmas market season. Many markets are situated nearby, with a favourite being the one at Heinrich Heine-Platz known as Engelchen Market. Popular among the locals, this place witnesses commerce beyond the traditional Christmas goods to include the exchange of speciality car parts, clothing, vinyl records, and more.